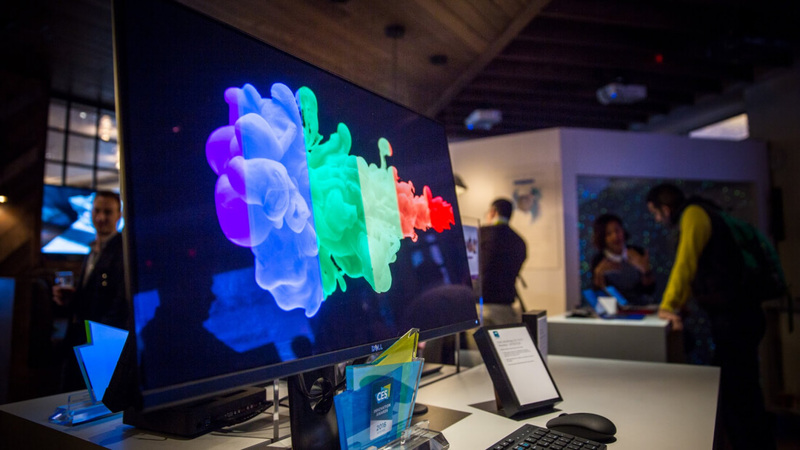 Back at CES 2016 more than a year ago, Dell showed off the UP3017Q, an impressive 30-inch 4K OLED monitor for professionals. The display was first expected to go on sale in March of 2016, but the end of March came and went without any official release. In July, Dell was reportedly still "tuning" the monitor and claimed it would be available "soon". Since the middle of last year, there have been no further updates from Dell on the status of the UP3017Q. However, according to French publication Les Numeriques (via The Tech Report), Dell officials at CES 2017 confirmed the monitor was canceled. The reason behind this cancellation revolves around image quality issues, specifically color drift when the monitor was viewed off-center. Dell worked to resolve these issues over several months, but ultimately couldn't come up with a suitable solution. In the end, the monitor didn't meet Dell's standards and was cancelled. Considering the monitor's exorbitant $5,000 price tag, it was probably a good move on Dell's part not to release the display in a less-than-ideal state. On the other hand, the UP3017Q would have been a very unique monitor, packing a 10-bit 4K 120 Hz OLED panel with a 400,000:1 contrast ratio, and support for 97.8% of the DCI-P3 color space.